In contrast to foreign exchange trading through banks and exchanges, the market for cryptocurrencies is still relatively small. This is the reason why one could observe price increases of more than 100% in one day. This development comes from the fact that trading with Bitcoin and altcoins is also possible with smaller capital employment. In principle, anyone can trade Bitcoins from home, or invest in Ethereum, buy and sell further altcoins, learn about trading strategies and try them out. A good source about altcoin trading is http://www.bitcointradingsites.net/features/altcoins/. From the Bitcoin leverage product to the Bitcoin trading robot there are numerous different products. Here I present some of them to you. My Bitcoin trading experience so far has been both very good and very bad. At the beginning of the year I was able to participate in some price explosions, and with the help of Margin Trading at Poloniex I was able to make triple-digit profits. I was able to increase my starting capital from 150 $ to 1.7 Bitcoin within 2 months by trading various cryptocurrencies. Unfortunately, Poloniex then experienced increased DDoS attacks, hacker attacks and very ominous sell orders. On the basis of the charts and the time course one could see very clearly that the attack on the stock exchange and automatic sell orders are connected. Unfortunately this almost led to a total loss of the 1.7 Bitcoins. Due to this Bitcoin trading experience, I decided to only trade on the larger trading platforms such as eToro or Plus500, as they offer me a different security level. Trading Bots – the dream of automatic Bitcoin Trading and Ethereum trading to earn on the rising prices of cryptos. There are currently many different Bitcoin trading bots on the market and depending on the Bitcoin trading platform these are serious or fraudulent. When selecting a trading bots, you should always pay attention to who is the provider of the Bitcoin Trading Bots, do I own or rent the trading software or do I buy shares, can I influence the trading software, adjust risk factors, etc. Also here applies, as always with the Trading – use brain, investigate and ask critical questions. My favorite question about all automated trading systems that collect capital or rent the trading software is: Why do they do this (at this price)? So you can see right from the start which intentions are behind many trading systems. Shortly I will introduce, test and evaluate single trading bots as well as trading platforms. 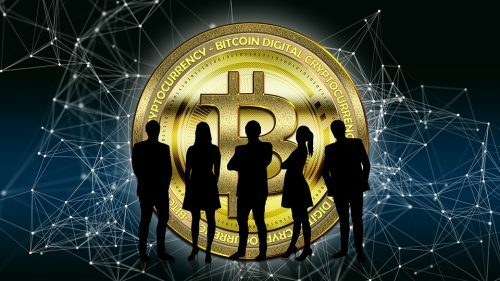 Bitcoin Trading, trading cryptocurrencies and making big money on the side? Sorry, I have to disappoint you, these success stories are crass individual cases. But if you want to build up an additional income or fortune by trading cryptocurrencies, it takes more than just wild speculation. Crypto trading or trading digital currencies has many parallels to classic forex trading. The most exciting thing about it is trading with a lever or so-called margin trading. With a lever it is possible to trade with a fraction of the actual trading volume as security on the market. For example, if you want to trade with a leverage of 1:20 Bitcoin, you only need 5% of the actual value of available capital for a market volume of 1 Bitcoin. But the higher the leverage, the higher the risk. In the worst case this means the total loss in trading! To make sure that this doesn’t happen with crypto trading, I’ve written down 3 trading tips that you should follow when trading Bitcoin or Ethereum. The foreign exchange (Forex) market is, with a daily trading volume of over five trillion euros, the largest financial market. The current market for the new coins with a total market capitalization of about 70 billion $ rather small. Prices are determined by supply and demand. In contrast to the “normal” financial markets, trading in cryptocurrencies is very volatile, i.e. not exactly stable. Although various chart techniques can be applied here, it is easy to influence the markets due to the current low market capitalization. This is why it is important that you do not enter a high risk market as a total beginner and gamble all your money through bad trading. These are the Bitcoin trading experiences that many of you have had before. Read to build up your knowledge about daytrading and event trading. Depending on which Bitcoin trading strategy you want to pursue, more or less knowledge of cryptocurrencies is required. If you want to do long term trading you need more knowledge to find the cryptocurrencies that have a long term growth potential. If your strategy is to use short-term trading opportunities, then you need a solid basic knowledge to use the price markups optimally, but no in-depth knowledge. 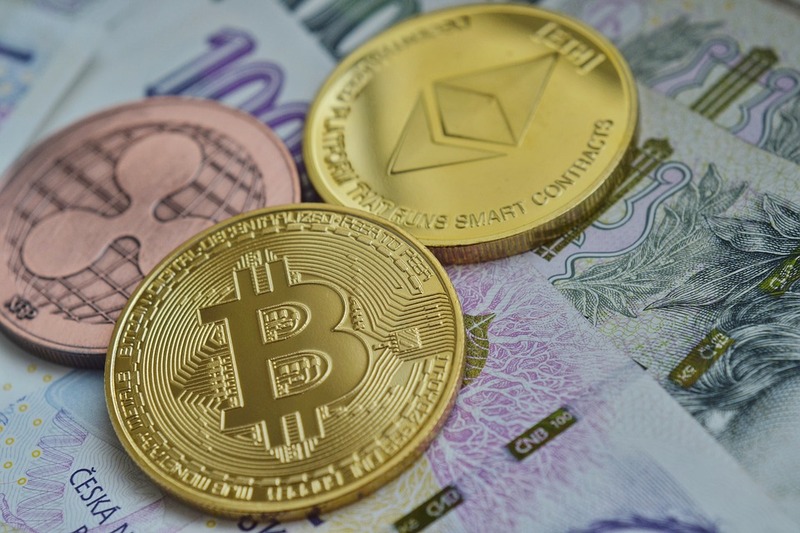 However, a big mistake would be to start with crypto trading without any background knowledge about cryptocurrencies, because the markets play according to their own rules or are strongly influenced by certain influences which, for example, do not occur within the Forex market or occur differently. You should therefore always be very well informed about the developments within the crypto scene and the cryptocurrencies. A further important point for the right entry into trading with crypto currencies is the selection of the right broker or the right Bitcoin trading platform, where a fundamental distinction must be made between the so-called exchanges and brokers. Well-known brokers are Bittrex, Bitfinex and Poloniex. There you can buy, hold and sell the cryptocurrencies directly and actively trade them via margin trading. A broker does not offer the actual cryptocurrencies to buy or own but mostly a certificate or a “bet”. By using leverage, a fraction of the actual trading volume can be traded as security on the market. Especially at the young cryptocurrency exchanges significant security deficiencies could be determined in the last months. Personally, I therefore tend towards a two-pronged strategy. The cryptocurrencies which I buy directly come directly on the Wallet, are traded and traded only with established offerers like e.g. Plus500 or eToro. Depending on which strategy you pursue, you will also find the right Bitcoin broker for it. Especially as a trading beginner, you are quickly drawn into the maelstrom of your own greed. I personally earned a lot of money with Forex trading 5 years ago and lost a lot of money again. Why? Because I became too greedy. Greed is human in this case. If you earn in 10 minutes as much as before in a whole month as gross salary, then the head already starts to “think” a little and to spin. With Bitcoin Trading or cryptocurrency trading, daily gains of 100% or even more are possible. My record so far was to trade a profit of over 1,700 $ with a starting capital of 120 $. Important for you is to set maximum targets for your daily profits and daily losses. If you reach your goals, stop trading and go out for at least 30 minutes. Emotions have lost absolutely nothing in trading. Iron discipline that keeps your own greed under control is necessary. This is the only way you have a chance to achieve success in Bitcoin trading. With emotions you will make the wrong decisions. With a cool head you will be able to strike at the right moment. You don’t have to become a millionaire overnight trading directly or build up an existence through Bitcoin trading. Start small, be satisfied with the “small” gains and then expand them consistently.